When it comes to apartment living, we’re all fairly familiar with the standard ‘cookie cutter’ abode that is neither interesting nor unique. The fact is, apartments are in such high demand they are often built without individuality or originality. Today on homify we’re going to change that! 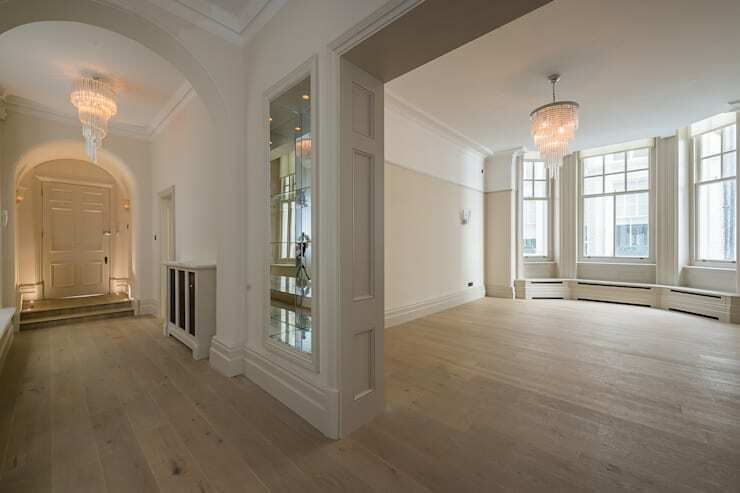 We’ve collated 9 apartments that boast unique features, helping to improve their ambience and atmosphere. These dwellings are a cut above the rest, and we hope they inspire you to add, improve, rejuvenate and reinvent your abode. First up we take a peek inside a truly desirable apartment, and one that boasts a lavish feature. This bay window is large, luxurious, and works perfectly against the heritage style of the home’s architecture. When it comes to small apartments, it’s often easy to forget they need to be practical as well as liveable. In this example, we see how the designers have opted for multi-purpose furniture. This seamlessly provides functionality within the room, as well as a neat and tidy setup. As an added benefit, and perfect for a student, there is also a pull out desk for some late night study sessions. This unique home feature takes us inside the en suite of a lovely master bedroom. 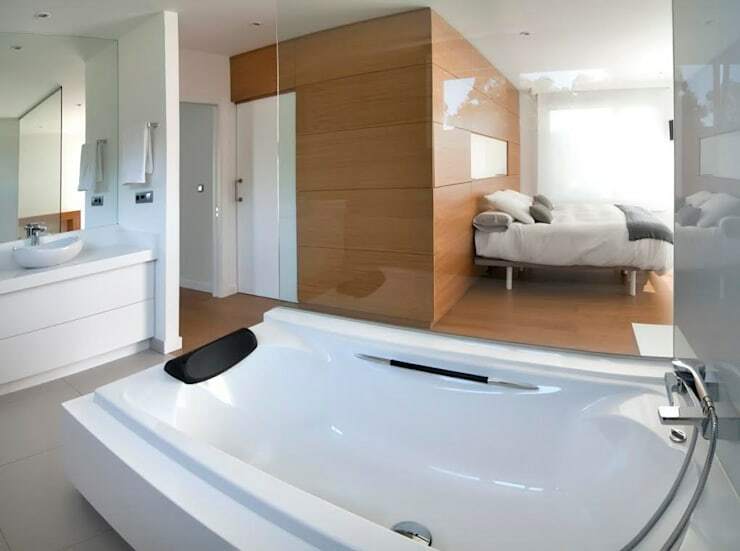 Here the architects and bathroom planners have included a large and relaxing tub, with whirlpool function, and a clear glass room divider to keep things open and romantic. For that added sense of opulence, it pays to have a cloakroom to store your guests (as well as your own) coats, jackets and outerwear. 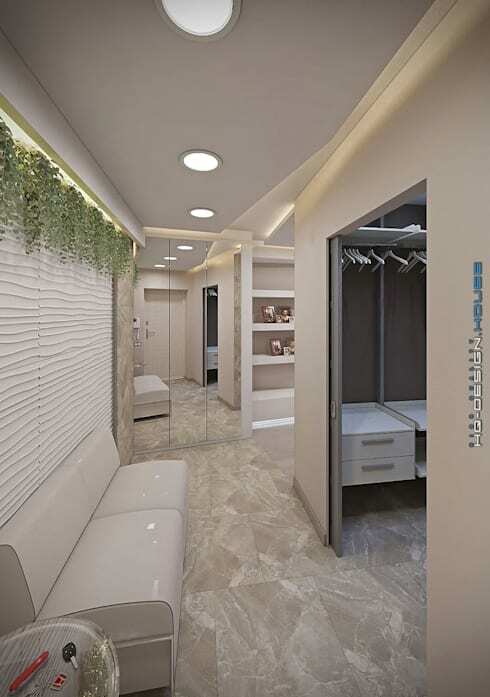 In this gorgeously designed apartment, there is a long bench seat, a cloakroom hidden behind sliding doors, as well as an illuminated green wall to add live and vivacity to the sleek space. 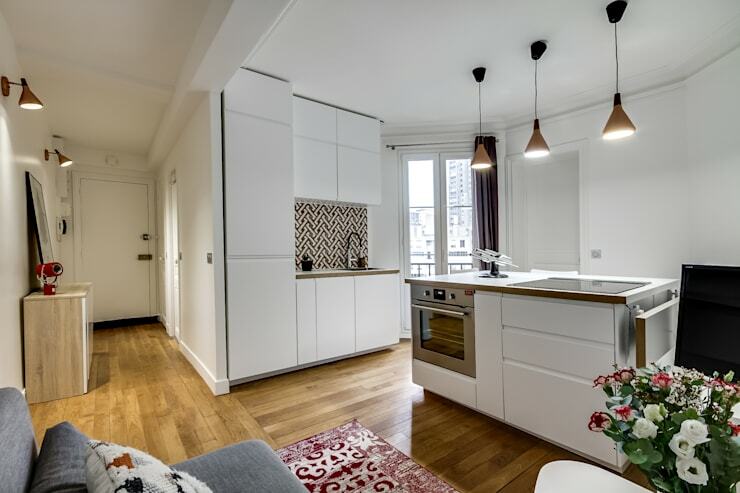 This compact apartment has embraced the kitchen as its central feature, and improved the layout to include a multi-purpose, highly unique island. With a fold out dining table, oven, stove and plenty of storage, it is a unique alternative to traditional designs. 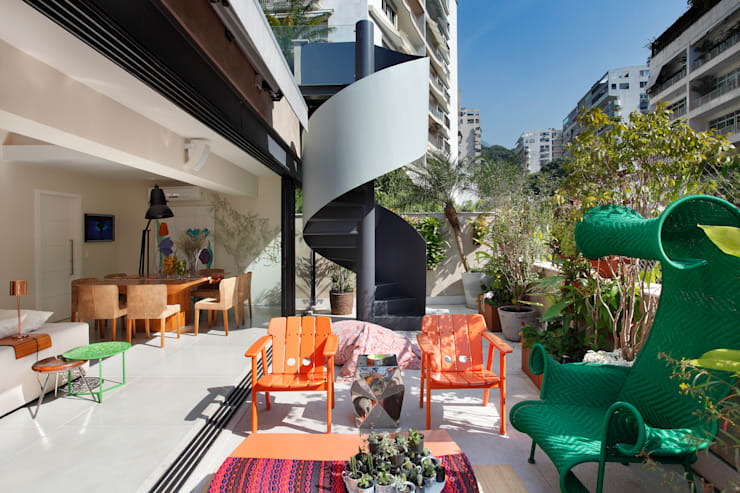 Definitely not the only attention-grabbing feature within this home, the spiral staircase takes centre stage, and is flanked by some wild, eye-catching furniture that is sure to add a unique and individual touch. In this home the ceiling height was so high, it allowed the architects to create a mezzanine room with its very own balcony indoors! We adore this home design that takes minimalism, and pairs it with simplicity and style. The large glazed window provides a gorgeous view of the scene beyond, and can be opened up completely to provide access to the terrace. 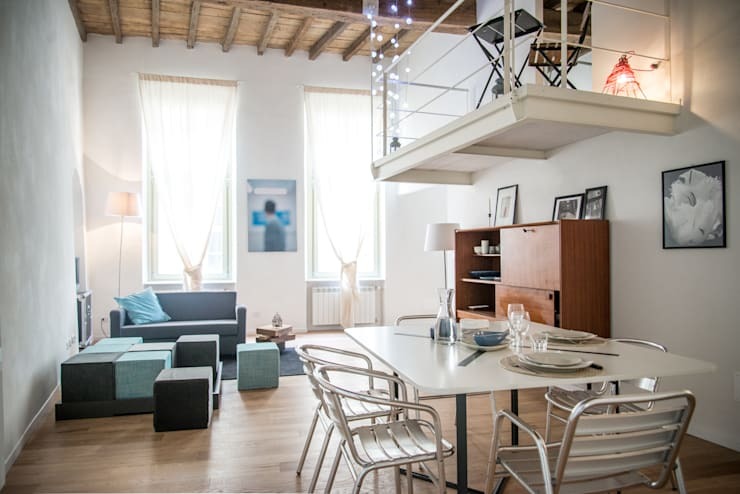 Studio living can be tricky, but not if you home looks like this one! With a large glazed bedroom cube, the room oozes sophistication and style, as well as offering the small space a sense of privacy and segregation. Would you like to learn more about how to decorate your home? Check out: A dreamy white apartment for under S$170,000 and keep reading! 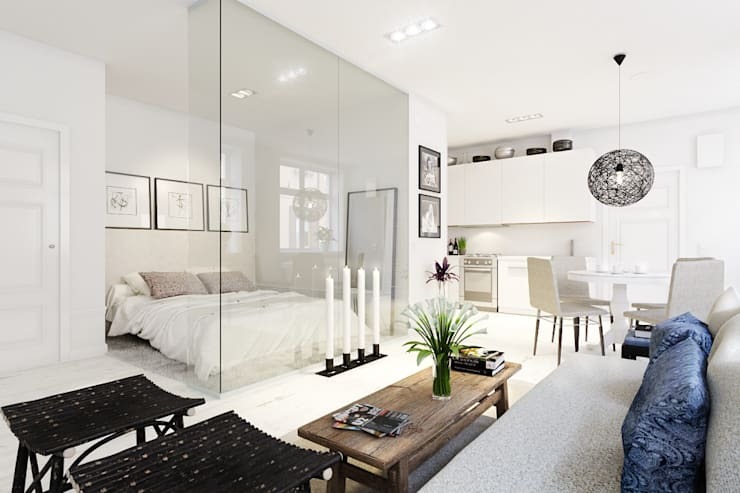 Which apartment feature would you most like in your home?